Large immaculate home with gorgeous views of the lake and surrounding mountains of Stagecoach area. This meticulously maintained home has wonderful entertaining decks, fluid floorplan, and windows galore to take in the views. 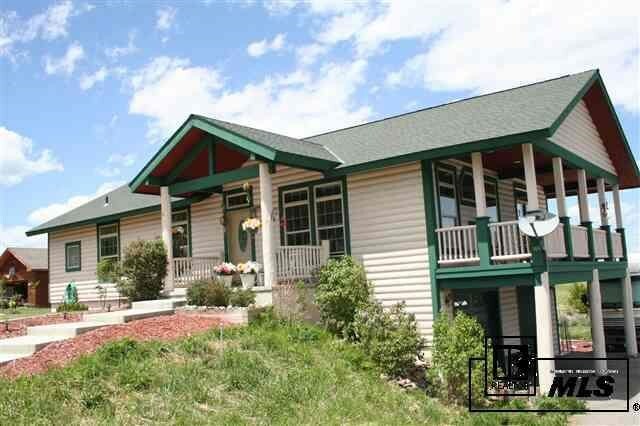 From the master, enjoy lake views, a private deck with staircase down to the hot tub area. Lower level is above ground and has a perfect secondary living room area with bedroom and large bathroom. Oversized garage is great for storage, tools, toys and a workshop. Subdivision has a private park area!